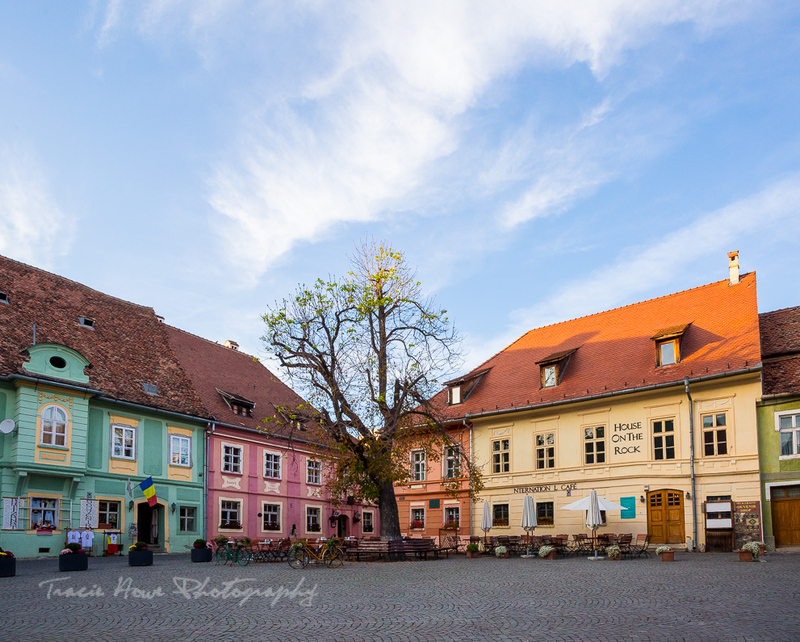 Photo highlights from my Eastern European road trip | Tracie Travels The misadventures of a restless photographer. Travel photographer and travel blogger, Tracie Howe, wanders the globe seeking out new adventures and photo opportunities to blog about. Join her for a unique perspective on travel, travel photography, and travel tips. Many of you have been following along during my Eastern European road trip, Liking my Facebook photos and commenting on those you saw on Instagram. You are awesome! Thank you for following along! I just got back home and people have been wondering where exactly I went and what my trip was like. I’ve even been told that some of my photos have inspired a few people to plan some trips of their own. That is amazing! That is JUST the thing that I aim to do with this blog! So let me kill two birds with one stone. 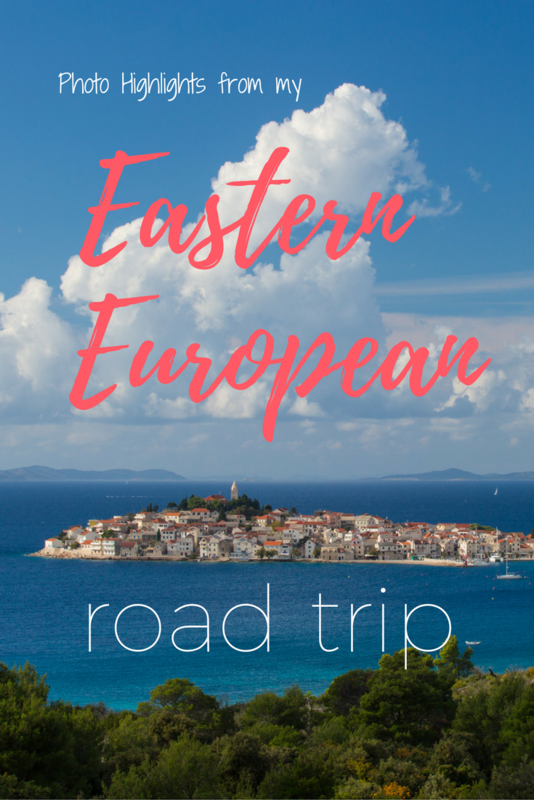 I’ll give you a summary of my month away while hopefully inspiring you take take your own Eastern European road trip! This post includes a select few of the photo highlights. For the rest, make sure you follow along on Instagram and Facebook! 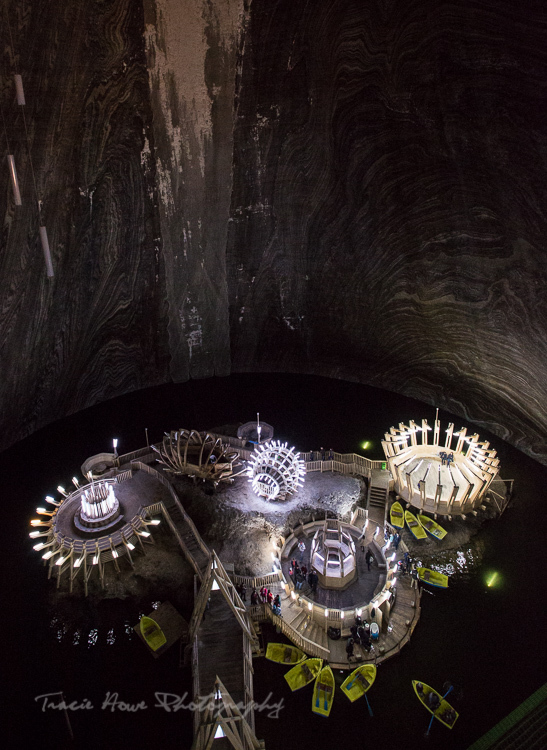 I also have posts dedicated to specific destinations like Transylvania, Budapest, and Plitvice Lakes National Park. Since I got a crazy amazing round trip flight to Paris from Seattle ($550 – what?!! ), I started there. I know, it’s not Eastern Europe, but it could help some of you with planning if you have similar ideas. Plus, who doesn’t want to spend a little time in Paris?! From Paris I flew to Budapest where I spent a fun couple of days meeting new friends and eating great food. It was there that I picked up my rental car arranged by Auto Europe. From Budapest it was just a few hours to drive to the Romanian border and on to Timisoara where I spent one night. 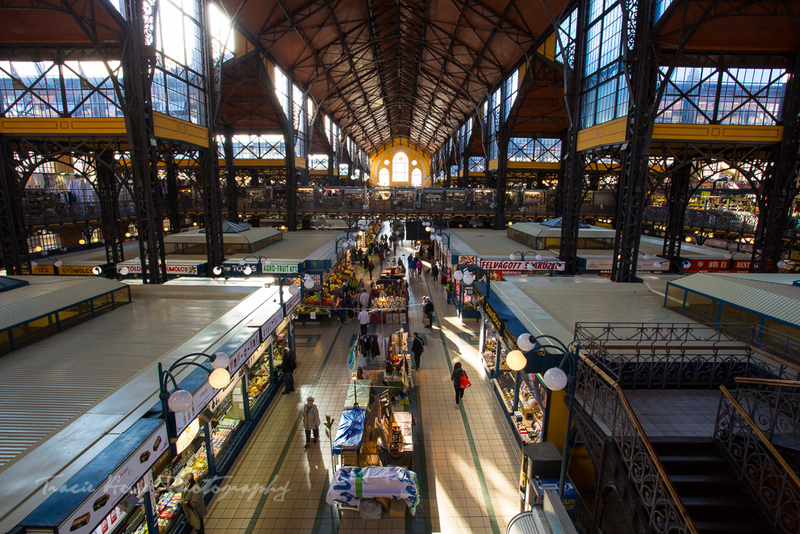 The Central Market in Budapest. Home of a delicious bacon and cheese wrapped sausage that I had. Mmm! I had every intention of checking out Timisoara, which I heard was worth visiting, but traffic and parking were against me so I moved along the next day. 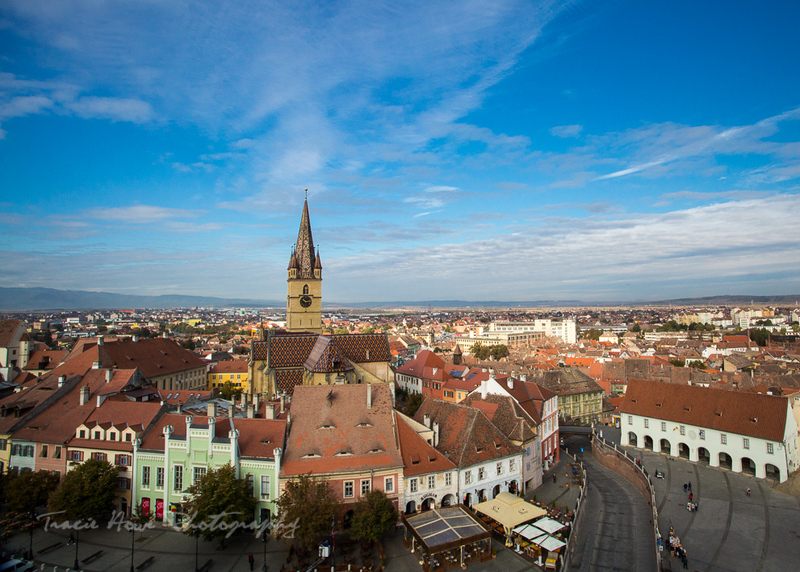 Sibiu was the next town on the agenda. Not originally on my radar for some reason, but I’m so glad I was meeting friends there! I ended up spending about three nights right in the city center. It’s a lovely medieval town with cobblestone streets, wide squares, and plenty of pretty churches. It was also fairly small and quiet, something I appreciated after spending some time in bigger cities and on the road amongst the chaos of traffic. 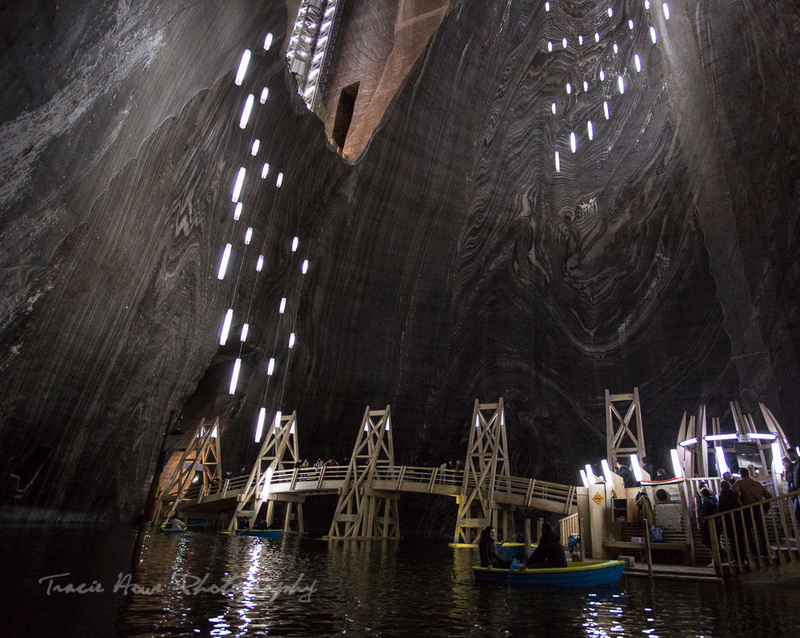 From Sibiu I headed north towards Salina Turda for a day spent at the intriguing salt mines turned mini amusement park. That was an experience unlike any I’ve ever had before. I only wish I had someone to play ping pong with! 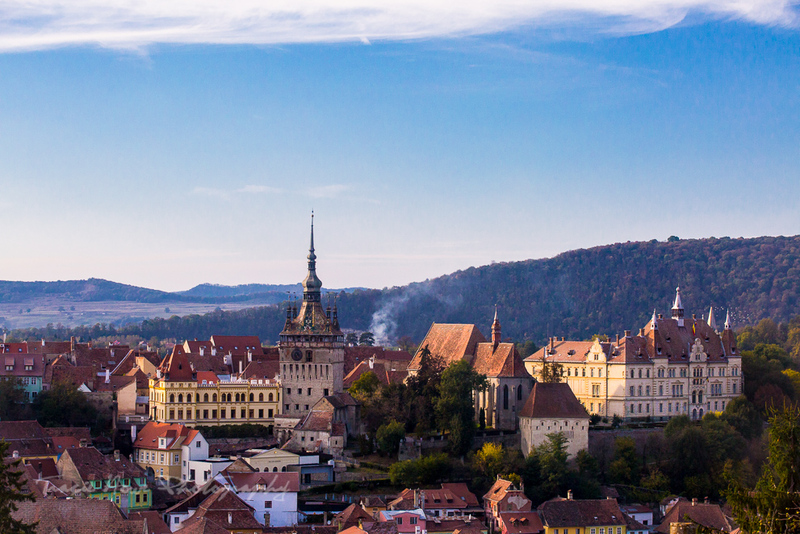 That afternoon I continued on to Sighisoara, another beautiful medieval town just begging to be photographed. My room offered a wonderful view of the old town and its impressive Citadel, which was only a short walk away. When I got to the old town, I most enjoyed exploring the colorful streets and quirky Dracula themed shops. I also took a quick drive over to Breite Ancient Oak Tree Reserve, just outside of town. Brasov was my next destination, acting mostly as a base for day trips, simply because it was pouring every time I was inside the city. 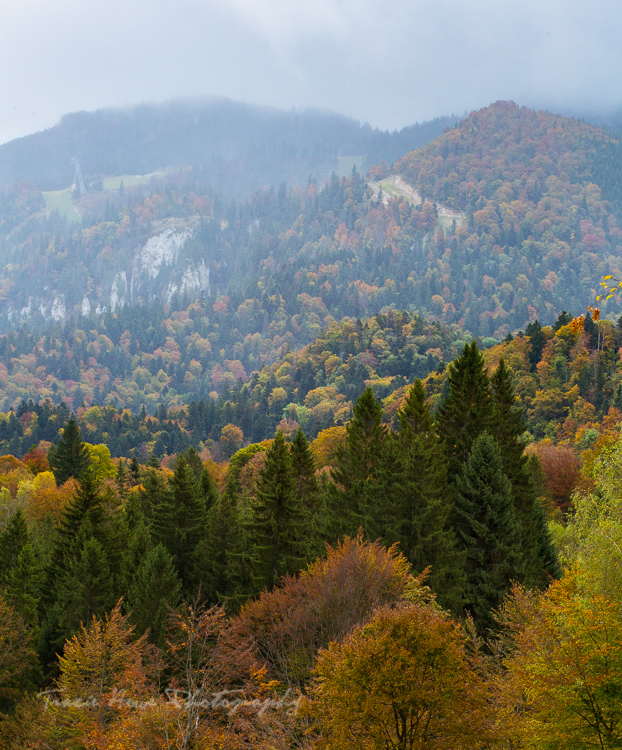 I did get a few shots of the city from above, but for me that view didn’t compare to the nearby Poiana Brasov mountains, perfectly spotted with the colors of autumn. 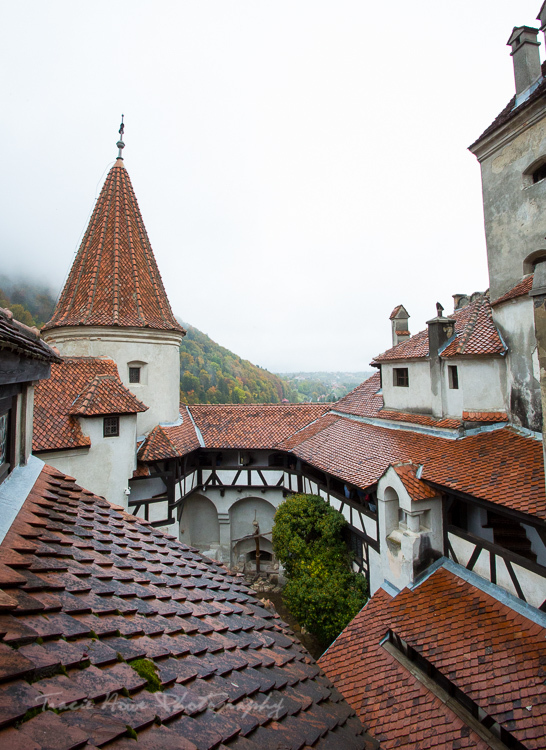 My day trips included an obligatory visit to Bran Castle, better known as “Dracula’s Castle”, and Peles Castle, an extravagantly decorated architectural beauty that also kept me out of the rain for a few hours. Bran Castle, made famous by Bram Stoker as “Dracula’s Castle”. 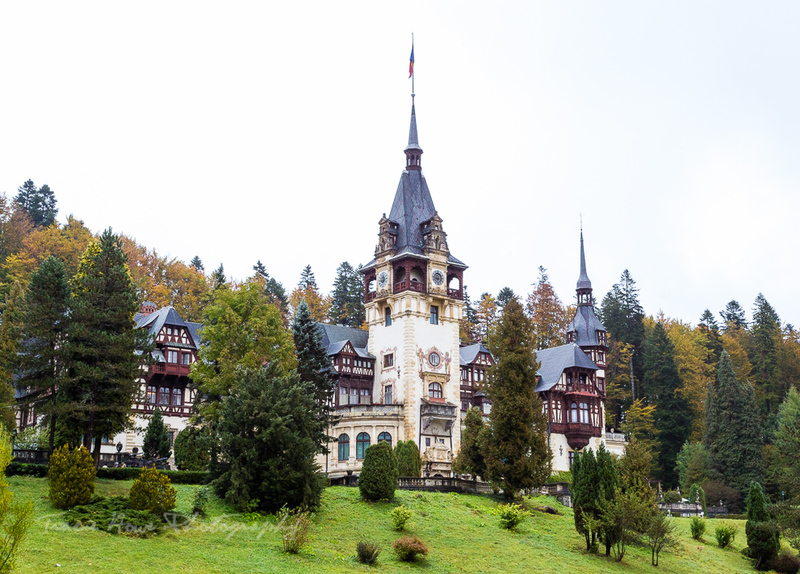 Peles Castle from outside, when the rain finally stopped. Giving up on seeing Brasov without rain dumping on me, I moved on to the famed Transfagarasan Highway. I made it almost all the way to my destination at Balea Lake, but I was forced to turn around about 5km away because of snow on the road. If I had made it the whole way, I would have only photographed a wall of fog. I’m okay with that because I got some decent shots along the way. 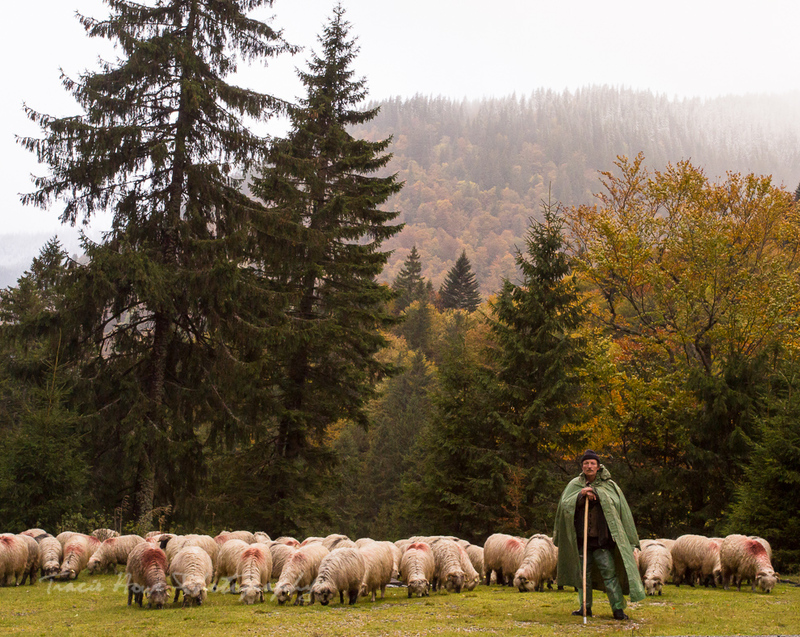 This nice shepherd obliged me with a photo of him and his flock. Completing my circuit of Transylvania I headed west towards Serbia. I had not planned to visit Serbia, but it seemed the most direct course on my way to Croatia. I regretted not having more time there because it was a lovely country from what I could see in less than two days of driving. Belgrade was a city I’d like to see more of. 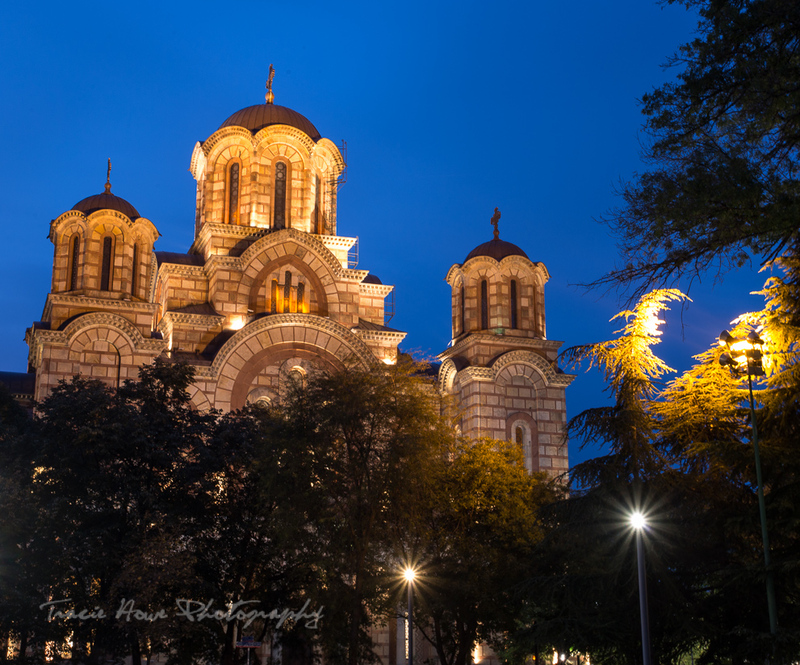 Belgrade is known for its nightlife, but all I managed to do was take a few photos during my one night there. Crossing into Croatia and realizing what little time I had left in my trip, I drove right to the capital of Zagreb. 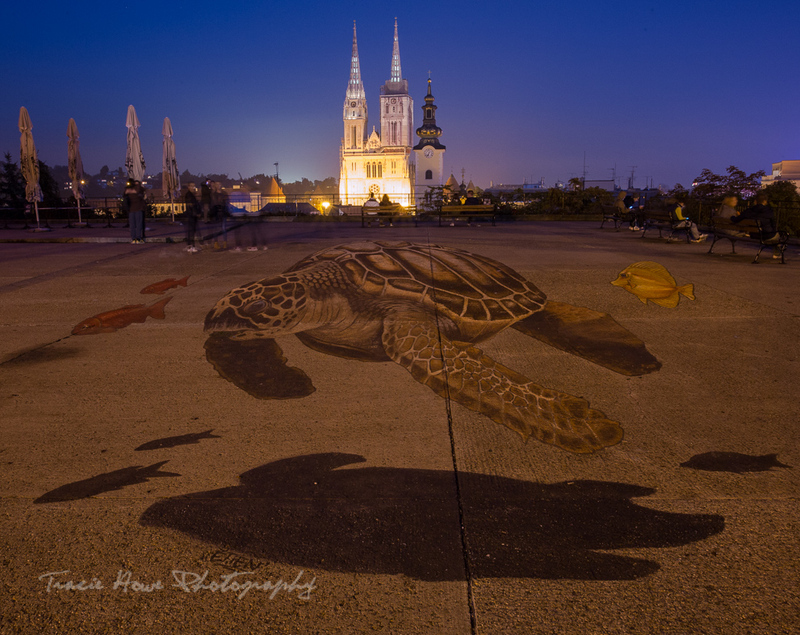 Zagreb is just cool. A perfectly metropolitan mix of modern hip and historical charm. 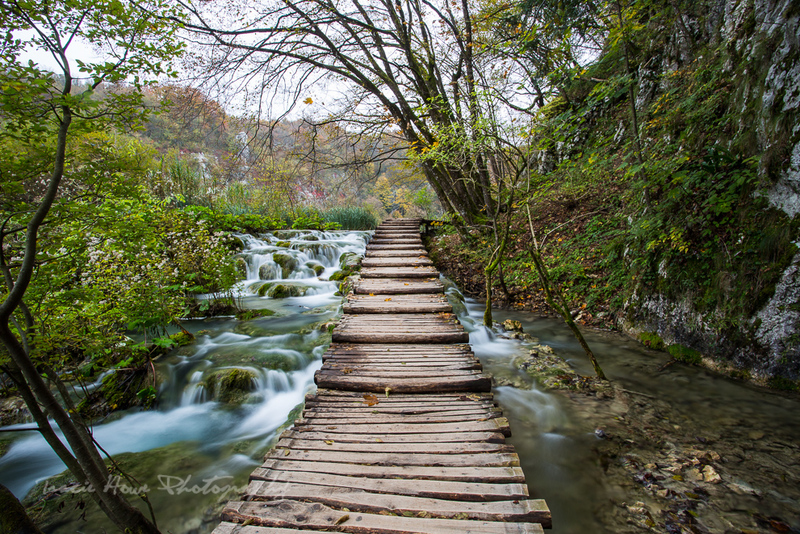 The next day I immediately headed towards Plitvice Lakes National Park, which was highest on my priority list for Croatia. I’m not sure if I could have visited this place at a better time of year. 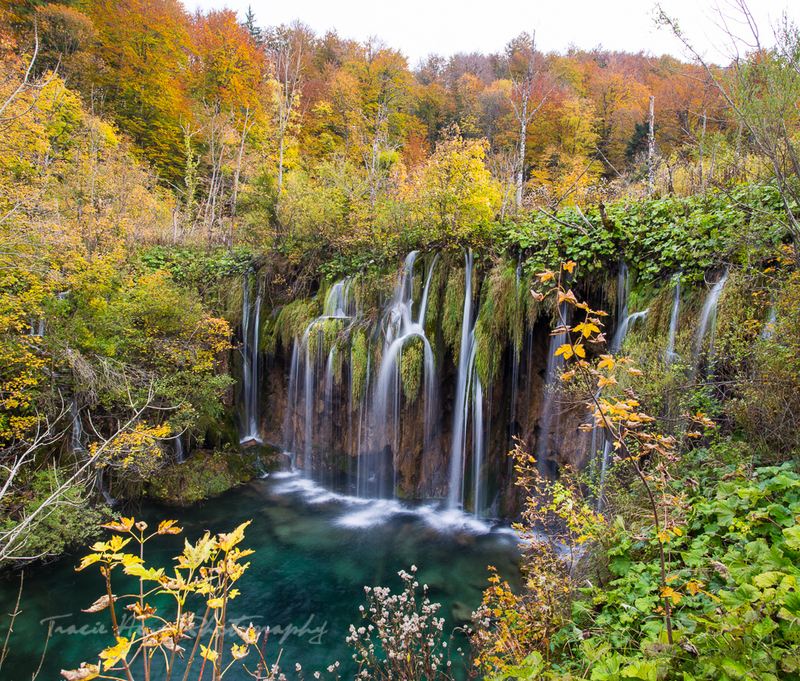 The spectrum of fall colors I had already seen on my trip had blown me away, but to see them as the setting for the waterfalls of Plitvice Lakes National Park was a truly spectacular sight! 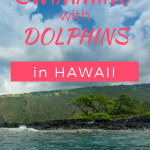 I’ll be writing up an entire post about my visit there, so you won’t want to miss that! 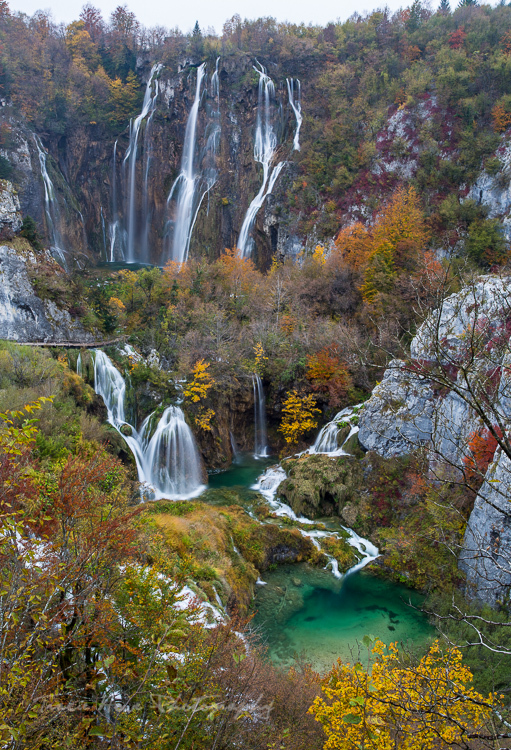 It was hard to leave Plitvice Lakes National Park, but I knew I had to continue south if I was going to have time to see more of Croatia. 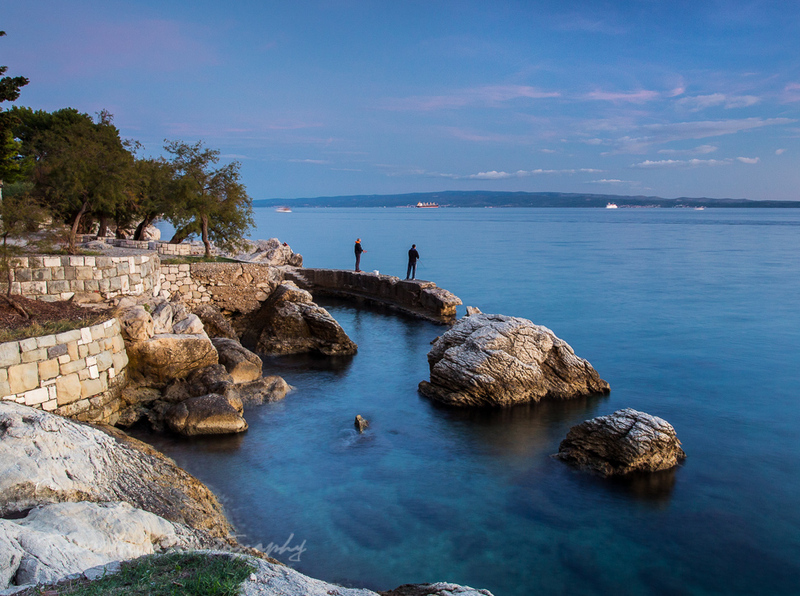 From there I went directly to Split, the first and only place on my trip that was relatively warm. The old town was a maze of ancient narrow pedestrian streets filled with cafes and shops, making it a pleasure to get lost in. The waterfront was quaint and beautiful as I’d hoped. Unfortunately, Split is as far south as I managed to go because of a sudden pain in my foot. I had to minimize my walking quite a bit, so I chose to head back north towards Plitvice to rest since I had to go north soon anyway. During the scenic coastal drive, I managed a quick stop at an unbelievably adorable town and various other photo-worthy spots along the road. The loveliest little town I ever did see! 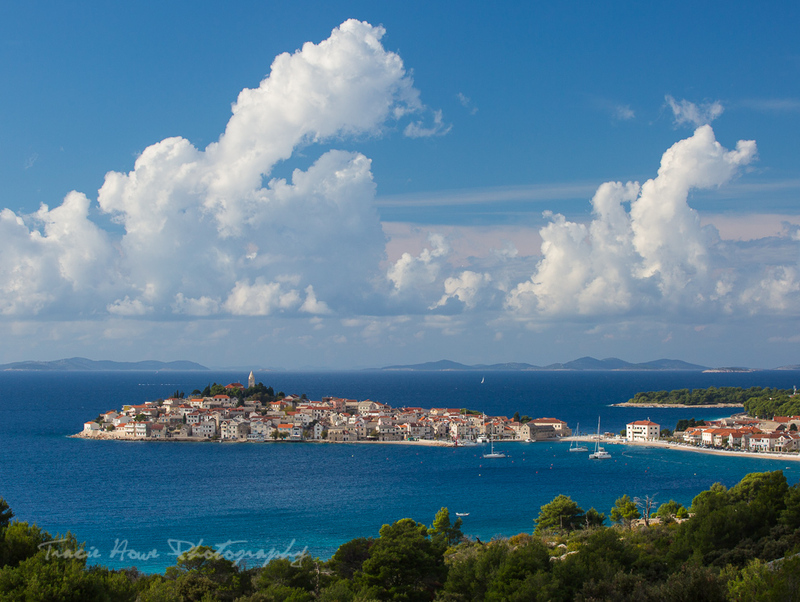 This is Primosten, one of Croatia’s coastal treasures. 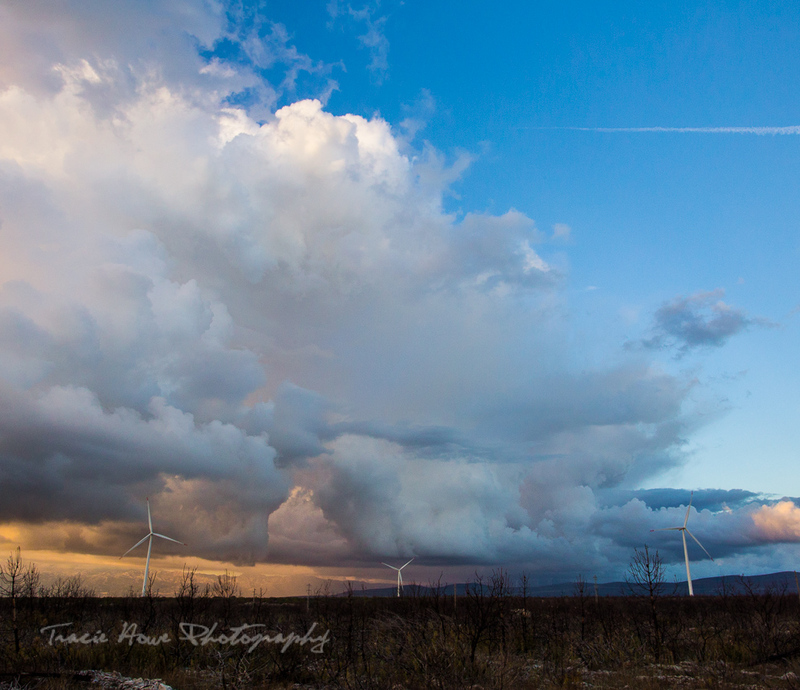 I never got caught in this storm, but I was able to witness it from afar on my way back to Plitvice. My foot sufficiently recovered, but not enough to explore the waterfalls again, so I continued my drive north back to Zagreb. From there I crossed into Hungary and stayed in a sleepy town (presumably only during the low season) next to Lake Balaton. The next morning I ferried over to the Tihany peninsula. 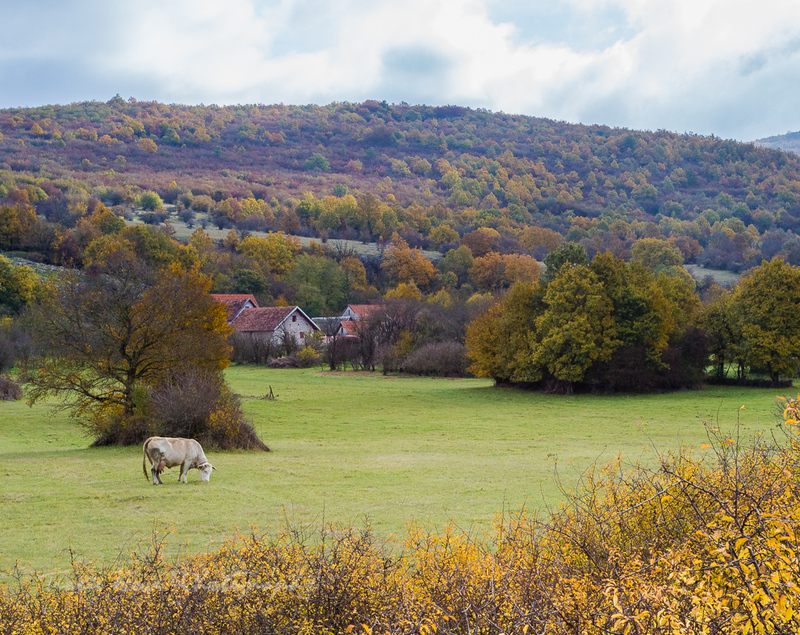 The village of Tihany was cute and the view from the hill was meant to be really nice, but I only saw a wall of fog. Alas, I couldn’t wait for the fog to clear because I had to get the car back to Budapest. 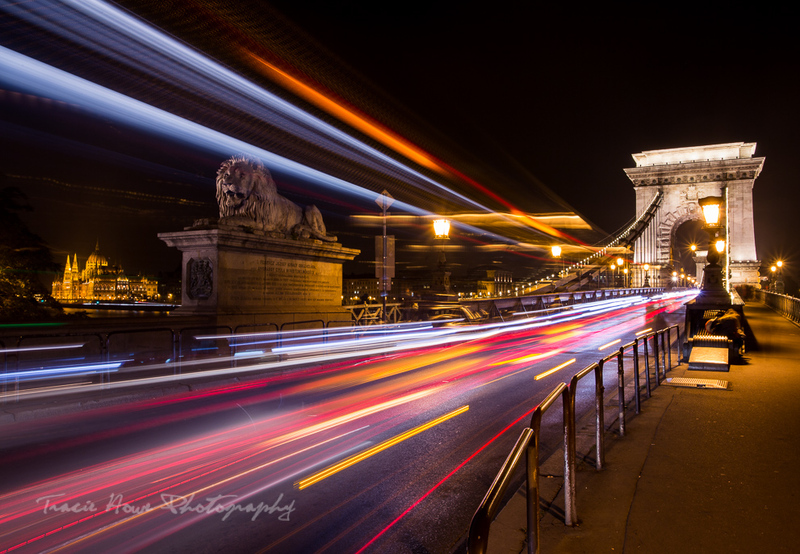 But this time in Budapest was even better, because I was finally able to take my postponed Budapest night photo tour! 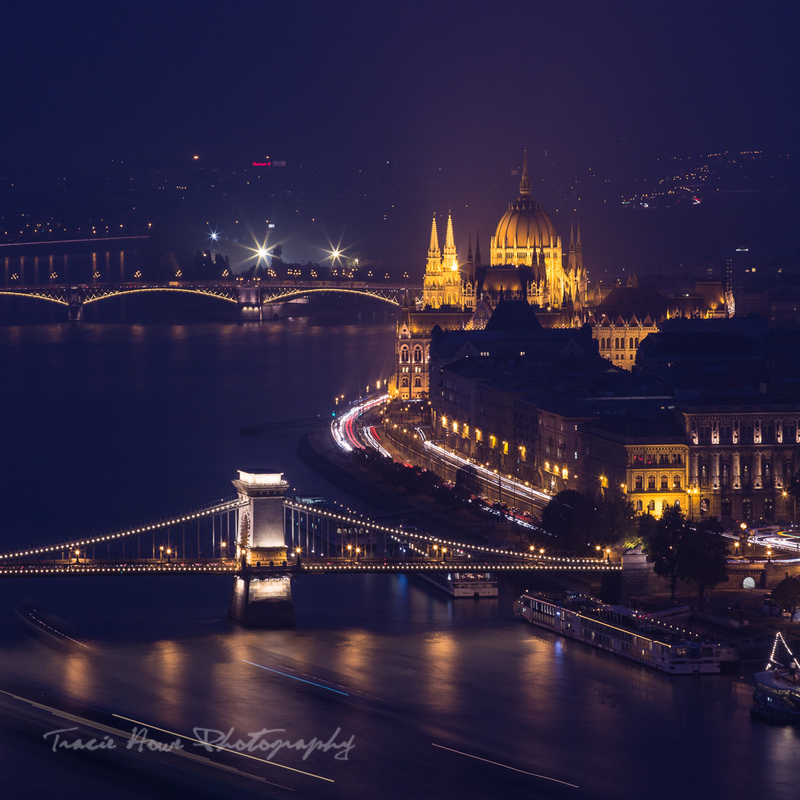 What a fantastic city Budapest is, not to mention stunningly beautiful. I can’t wait to go back! Saying goodbye to Budapest, I flew back to Paris and then home again. And here I am today. 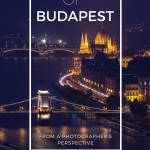 I’ll have more posts coming about this trip, including posts featuring Paris, my Budapest photo tour, and photo spots in Transylvania among others. I hope you’ll check back… even better, subscribe for updates sent to your inbox! Chris - What a stunningly photogenic road trip, through a wonderful part of Europe.